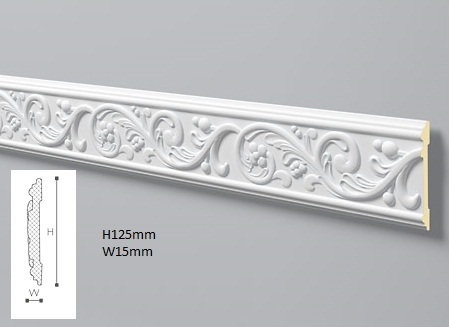 Decorative strip EL2 in white. After installation, we recommend painting stucco with acrylic or dispersion paints to an exclusive finish of the product. 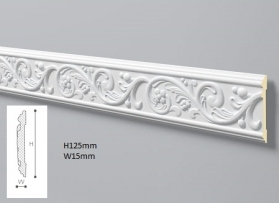 Decorative strip is resistant to moisture, shock and washing.